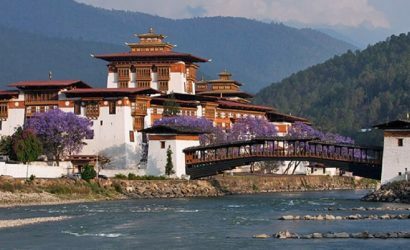 The kingdom of Bhutan is an exotic land of high mountains and lush valleys, snow-clad peaks and clear running springs and a well preserved Himalayan Buddhist culture. This is a popular week tour package most of our clients prefer. You will be very happy to know the happiest people of Asia and their traditions, culture and their lifestyle. You will also explore various monasteries and Buddhist art in Bhutan. You will fly in Druk Air from Kathmandu to Paro Airport and enjoy the amazing lifetime experience of the Himalayan flight over the snow-capped mountains.Travelling to the Bhutan From Nepal with Eagle Eye Treks and Expedition is the very easiest. As soon as you land at the Paro airport, the efficient guides from Eagle Eye treks and expedition will receive you with Tashi Khadar (Welcome white Scarf) for your Bhutan travel and drive you to Thimphu, the capital city of Bhutan. Check into your hotel and enjoy the exotic lunch before you begin the tour of Thimphu. After Lunch, you will be visiting the Memorial Chorten and the School of Arts & Crafts, where students from across the region learn the skills of a myriad of traditional arts & crafts like Buddhist Thangka painting, mask making, wood carving, embroidery, slate curving, sculpture, weaving and calligraphy. You can also to see some professional Thangkha painters at work there. Next will be visiting the 169-feet bronze statue of Buddha Dordenma.The Vajra Throne Buddha, symbolizing indestructibility, seated on a vajra throne, will be erected at Kuensel Phodrang in Changbangdu, that provides a view of the entire city. It is located some 100 meters above Thimphu on a steep slope. Ratified by His Majesty the King and the government, the Buddha Dordenma project is being launched by the chairman of Menjong Chhothuen Tshogpa, Lam Tshering Wangdi, to commemorate a hundred years of monarchy in 2008. Afterwards, visit Tashichho Dzong (Fortress of the Glorious Religion). Back in 1216, the lama Gyalwa Lhanangpa made Dohon (the Blue Stone) Dzong on the hillock above Thimphu, where now the Dechen Phodrang stands. Some years ahead, Lama Phajo Drugom Shigpo, who brought the Drukpa Kagyu line age to Bhutan, took the reins of Dohon Dzong. In 1641 the Zhabdrung (One who unified Bhutan) received the dzong from the descendants of lama Phajo and renamed it to 'Trashi Chhoe Dzong'. Bow the Dzong housed both monks and civil officials in the same area. Currently it is the seat of the national government and the Central Monastic Body that houses the summer residence of the Je Khenpo (Chief Abbot of Bhutan). The next day, after breakfast, we will drive to Punakha, an approximate 2hrs.30 mins drive, with a stop over for tea at Dochula (3,100 m), where on a sunny day, you can get stunning views of the Himalayan ranges. 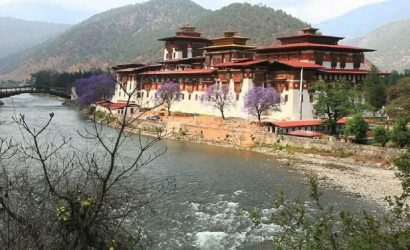 Post lunch, drive towards Punakha, the ex-capital of Bhutan to have a glimpse of the Punakha Dzong, which is famous both for being one of the most beautiful Dzongs in Bhutan and also for having been built by the first Shabdrung in 1637. On the way back, stop at Metshina Village and take a short walk through the lush rice fields towards ChhimiLhakhang, a fertility temple. Here, you may choose to receive a special fertility blessing. Enjoy your dinner at the Hotel in Punakha. Tang Chu rivers. Drive a bit more to cross over the Pelela Pass at an altitude of3250 meters. Have lunch at the famous Chendebji Restaurant. Thereafter, visit the Chendebji Chorten, a tall Stupa patterned after the Swayambhunath in Kathmandu, Nepal and built in the 19th century by Lama Shida, to hide the remains of an evil spirit eliminated at this very spot. Have dinner at the Hotel inTrongsa. After breakfast we will be visiting the Trongsa Dzong, the most emphatic dzong in Bhutan, built by Chogyal Minjur Tempa, the emissary sent by Shabdrung to appease eastern Bhutan. The dzong was added to at the end of the 17th century by Desi Tenzin Rabgay. This dzong is the ancestral home of the present Royal Family; the initial two kings ruled Bhutan from this Dzong. Drive to Bumthang via Yongtala & Kilakha passes. Bumthang sightseeing includes- Bhutanese Carpet Factory, where they use Yak and Sheep wool and even pure silk to create carpets and ethnic Bhutanese Textiles. Post lunch, visiting the Jakar Dzong will happen, literally meaning 'The Castle of White Bird'. Its current structure was built in 1667. Later visit Lamey Goemba, a majestic palace and monastery built in 18th century by Dasho Phuntsho Wangdi, the great warrior. Further, you can see the JambayLhakhang, built by King SrongsenGampo of Tibet in AD 659. This temple was blessed by Guru Rimpoche during his visit to Bumthang. It was renovated by Sindhu Raja after Guru Rimpoche restored his life with his powers. Legend has it that under the temple is a lake in which Guru Rimpoche took refuge on several occasions. In the month of October, the colorful festival, 'Jambay Lhakhang Drup' unfolds at this very temple. As the evening sets, you can check out the handicrafts and all. Have your dinner downtown at Bumthang. After breakfast, visit Chakhar (Iron Castle) Lhakhang, it is the site of the palace of the Indian King, the Sindhu Raja who invited Guru Rimpoche to Bumthang. The Original palace was made of Iron and hence the name Chakhar. The saint DorjiLingpa built the Current building in 14th century. Its correct name is Dechen Phodrang. We then visit Kurjey Lhakhang that is named after body print of Guru Rimpoche, built in 1652 by MinjurTempa. Visit Tamshing Lhakhang (Temple of the good message), established in 1501 by Pema Lingpa and is the most important Nyingmapa temple in the kingdom. In the evening, visit Membarstho which literally means, "The burning Lake". Dinner and Overnight in Hotel at Bumthang. After an early breakfast, we will drive to Wangdiphodrang via Gangtey. Lunch at Gangtey valley. It is one of the most beautiful glacial valleys of the Himalayas. Visit Gangtey Gompa from outside. Gyaltse Pema Thinley, the grandson and mind reincarnation of Pema Lingpa founded the Temple in 1613, and Tenzin Legpai Dhendup, the second re-incarnation, built the temple. The present Abbot, Kunzang Pema Namgyal is the ninth re-incarnation. It is a Nyingmapa monastery and is affiliated to other Nyingmapa monasteries including Tamshing in Bumthang. Explore Phobjikha valley, famous for the Black Necked Cranes during winter. These cranes are very rare and endangered and highly protected by the Government. These cranes fly to Phobjikha valley which is their winter Habitat. The Cranes circle three times in a clock-wise direction around the Gangtey Gompa as a reverence to the Monastery before landing in the valley. They repeat the same practice before flying back to Tibet in early spring. You can watch the cranes. Enroute we will stop in different places for the photography and have the view of different valleys. Have a full meal at the hotel and call it a day. After breakfast, drive to Thimphu and visit Simthokha Dzong. It is the oldest Dzong in Bhutan. After lunch drive to Paro. Dinner and overnight in Hotel at Paro. 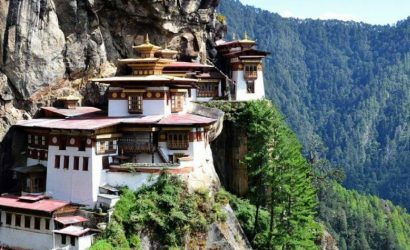 On the second last day, make an excursion to the Taksang Monastery - the place that offers the most spectacular view of Bhutan. Located on a sheer vertical cliff at an altitude of 800m, it defies all engineering logic. Climb for about 2-3 hours to the monastery to set the pace for adventure. 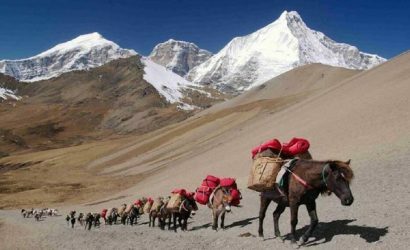 (The hike can be quite hard and you can arrange for a po pony ride. In the afternoon, simple enjoy the beauty of Paro. Say goodbye to your Bhutan tour guide and take a pledge to come back again soon. We will head towards the airport to catch the homeward flight.